The time for my holiday has come, eeeep! If you haven't already heard I'm off to Algarve tomorrow in the early hours of the morning and I can't wait to spend a whole week (and a day) in the sun tanning my extremely pale complexion, swimming in our pool and, enjoying the villa and surroundings. I have never been to Portugal before, and with my fiancé practically being Portuguese I couldn't be more excited. We plan to spend a day or two in Lisbon too and Sephora is already calling my name! I also hear shops like Zara and Berksha are a lot cheaper over there so I'm definitely leaving a little space in my suitcase to bring back lots of new goodies. I might also shoot some outfit posts out there in the streets of Lisbon as I hear they are gorgeous! I will be back on the 3rd of September which means more than a week away from this space; I will definitely miss it! I decided not to schedule any posts whilst I'm out, even though I have them ready to be published. Blogging involves reading your comments, commenting back on your blogs and interacting with you guys, and I don't feel like I will be able to do all of these things whilst being away. Plus I don't find the blogger "auto publish" feature very efficient, is that just me? But, the lack of updates on the blog does not mean no updates elsewhere! Follow me on Snapchat (pamscalfiblog) and Instagram (@pamella_scalfi) to see what I'm always up to; maybe I will do a bit of vlogging too so keep your eyes peeled! And to ensure at least something is going on over here whilst I'm away, I'm running an INTERNATIONAL GIVEAWAY. August marks 1 year and a half of Pam Scalfi and I thought giving back would be the best way to celebrate this! I've been extremely blessed with this space of mine and I can't believe how much I've achieved in so little time, so thanks everyone for the continued support! I cannot wait to come back with my batteries recharged, ready for bigger and better things! And now onto the most exciting part of the post, the giveaway! I thought long and hard on what to give away and I finally got it. 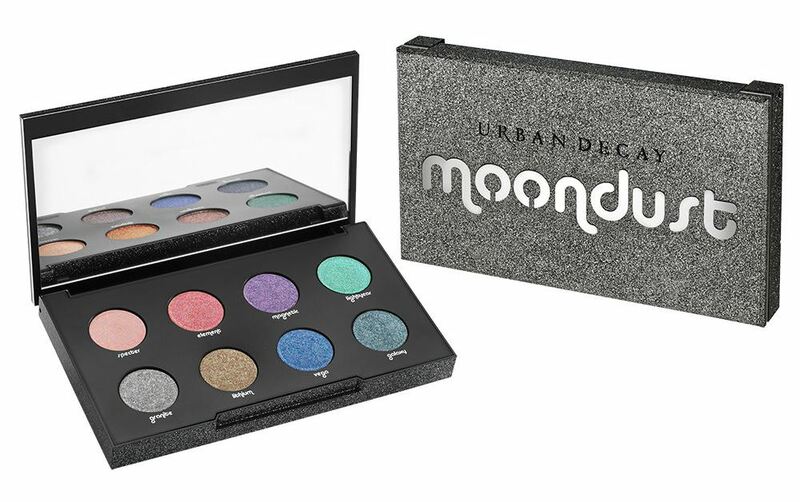 The internet has been going absolutely crazy for the new Urban Decay Moondust Eyeshadow Palette, so if you enter this giveaway it could be yours! It's simple to enter, and easy to win! You must complete the following mandatory steps in the Rafflecopter widget below: Follow me on Instagram + Visit & Like Pam Scalfi on Facebook. There are ways to increase your chances, they are optional but highly encouraged; the more entries you complete the more likely you will win! – This giveaway will run until 4th September 12pm (GMT time). – This is open internationally and I will be shipping the prize once I have the winner's details. – One winner will be chosen at random via Rafflecopter and the lucky winner will win a brand new Urban Decay Moondust Eyeshadow Palette (value of £35). – This is not sponsored by Urban Decay; I am providing the prize myself. – The winner will be notified via email and will have 48 hours to respond. If the winner does not respond within 48 hours, an alternative winner will be selected via Rafflecopter's randomiser. Follow me on Instagram for daily updates, @pamella_scalfi. I went to the algarve a few years ago and loved it! This year I went to New York - it was so amazing! Thankyou for hosting such a great giveaway! Enjoy your holiday, you definitely deserve one! I don`t have Snapchat, but I can`t wait to see your Instagram pictures. And read a detailed post when you are back! Sounds like you're in for an incredible trip! Aww I am so jealous lol. 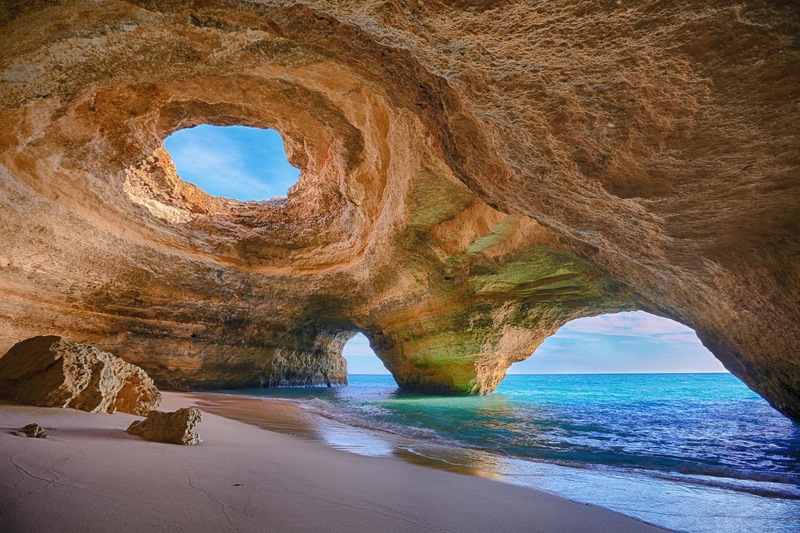 Enjoy Portugal beautiful. I can't wait to go there in November for a wedding. Have an amazing time Pam! Just enjoy the time you are away, dear Pam! I do the same, I disconnect - just enjoy the sun, the time in Portugal, the shops :) Yes, do leave space in your suitcase for new purchases! You will love Portugal, I am sure, and I am waiting for the outfit posts there, when you are back! I hope you'll have an amazing time in Portugal, looking forward to seeing some photos! Have a great time in Portugal! I've been to the Algarve a few times and it's lovely! I'd love to visit Lisbon! You chose a great place to speed your holidays. Have a great Monday! Yes, I spent a week in Turkey, Antalya, in the region of Kemer ! Pam this is such an amazing giveaway! Have a great time on your holiday girl! So beautiful Palette!!! And Yes.. I spent two weeks in Rio de Janeiro, Brazil! I have family there! Hope you are having such an amazing and fabulous trip!!! Missing you on your blog!! Have so much fun, babe! Can't wait to see photos from your trip! I didn't wear anywher but I had fun in my hometown! Hope you have a great vacay, I was just reading about this palette the colors are so gorgeous. I've been to Korea this year. I want to Italy! It was beautiful! I Hope you have loads of fun on your holiday. Wow, amazing contest! Good luck to all participants! Oh no, I'm definitely late for the giveaway but I hope you had great fun Pam. Welcome back and happy anniversary to you.